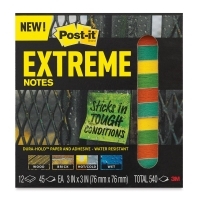 Take your notes outdoors with 3M Post-it Extreme Notes. 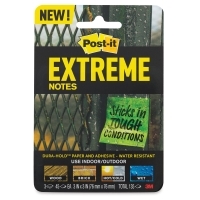 The durable notes are water-resistant, and they stick to textured surfaces, so you can leave notes whether you're working on an outdoor art project or on a construction site. 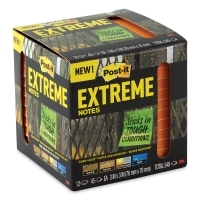 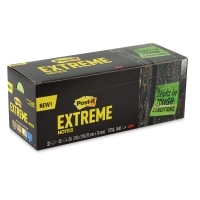 Extreme Notes are made with ultra-strong Dura-Hold Paper and Adhesive that keeps sticking in tough conditions and hot and cold environments. 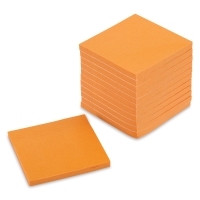 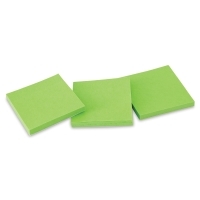 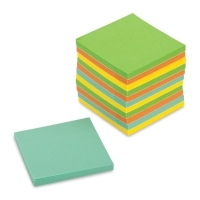 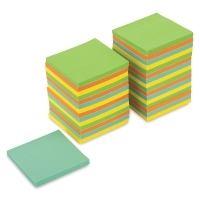 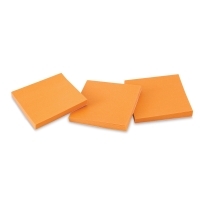 Post-it Extreme Notes stick best to dry surfaces. 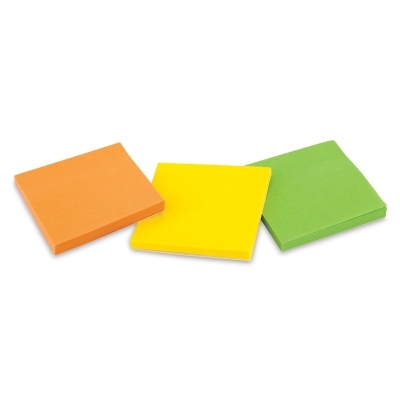 ® 3M is a registered trademark.® Post-it is a registered trademark. ™ Dura-Hold is a trademark.